We believe that baptism is a visible representation of a person’s identification with the death, burial, and resurrection of Jesus (Romans 6:3-5). At OCC, we encourage and celebrate believer’s baptism by immersing a person in water who has consciously chosen to follow Jesus Christ. When that person goes underwater, it publicly symbolizes the passing away of the old life, and when they are raised out of the water, it represents new life in Christ (Colossians 2:12). 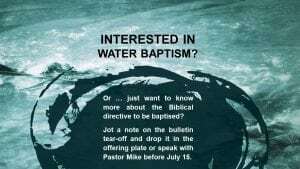 We are excited that you want to take this next step and we would love to baptize you! 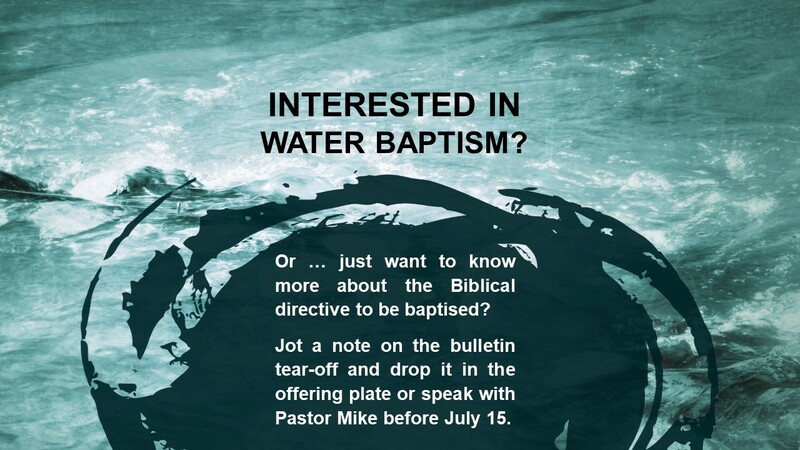 Send pastor Mike an email, call the church [705.329.2139] to sign up.